Juki is the world's best quality and largest OEM original equipment manufacturer of industrial and home sewing machines and sergers. 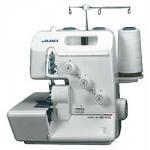 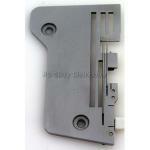 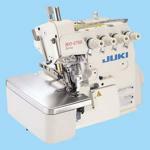 Juki makes all of Bernina sergers, Singer XL150-6000 computer sewing and embroidery machines, and the Elna 9020. 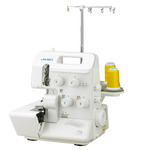 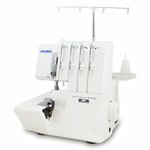 Juki MO 654DE Demo 2-3-4 Thread Overlock Serger Machine, Head Only with Generic Foot Control, without any other accessories.